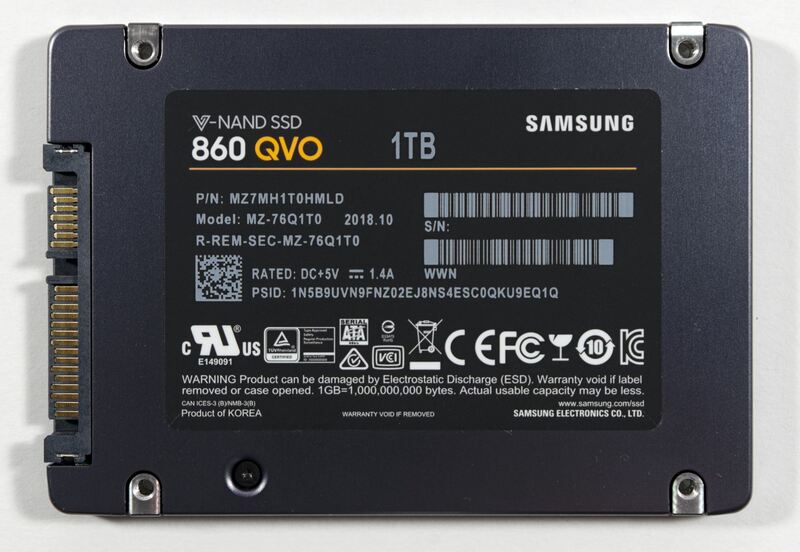 Today, Samsung has unveiled a new consumer solid state drive (SSD) lineup – the Samsung 860 QVO SSD. The new SSD features capacity of up to 4 terabytes (TB) with speeds reaching 550/520 MB/s reads and writes, respectively. The drives are built using their own high-density 4-bit multi-level cell (QLC) NAND flash. 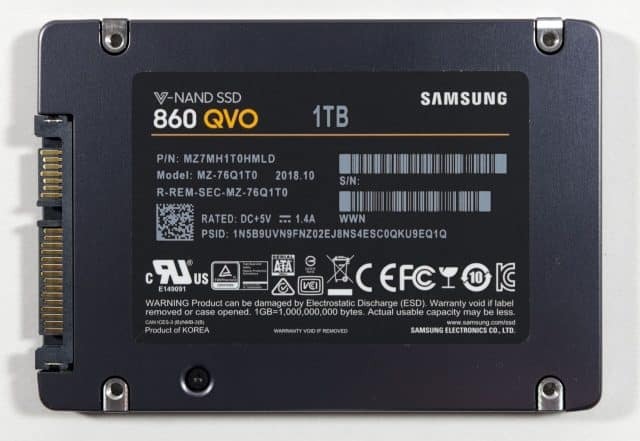 Samsung has developed these drives to have higher capacity SSDs be more accessible to the masses (read: less expensive). The drives are priced at $149.99, $299.99, and $599.99 for the 1, 2, and 4TB models with pricing rivaling that of less expensive drives TLC drives without DRAM cache, while the 860 QVO includes a full-size LPDDR4 DRAM cache. Controlling the NAND is Samsung’s MJX controller which designed performance around the analysis of consumer SSD usage patterns. According to Samsung, this yields a reliable drive and sports a three-year limited warranty. Write length is up to 1440 terabytes written (TBW) for the 4 TB version and 720/360 TBW for the 2/1TB drives. The 860 QVO and its new QLC flash will be available on December 16th 2018. Thanks for this information. This brings Samsung's quality and performance to the table at approximately the same price as off brand SSDs. Always a good sign. Right now the WD Red in my desktop is by far the loudest component, and I realized how impatient I've become trying to run things off of it. Nice seeing I now at least have the option to get the equivalent amount of SSD storage for less than a used Corolla. MSRP looks interesting. I wonder where the street prices will settle. If anything like other Samsung drives, a bit above at start, then will drop below.